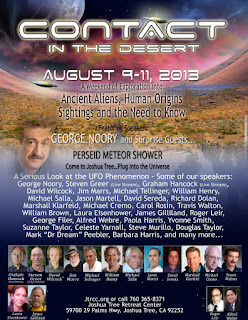 Beginning August ninth through the eleventh, Contact In The Dessert is a three day weekend of exploration into ancient aliens, human origins, UFO and extraterritorial sightings. 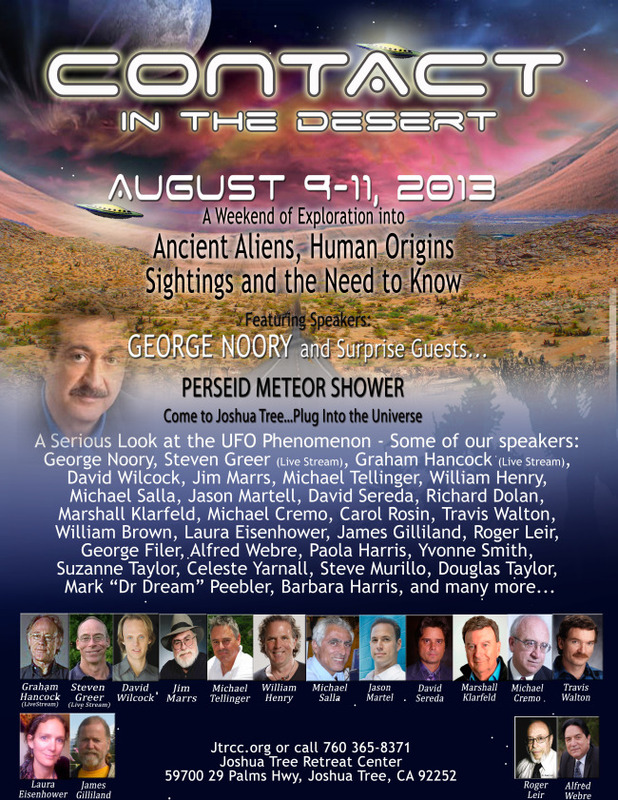 This event will be held at the Joshua Tree Retreat Center in Joshua Tree, California. Steven Greer and Travis Walton are among the list of speakers. As much as I would love to attend Contact In The Dessert and report it all back to you, tickets start at $200.00 a person! Yikes. 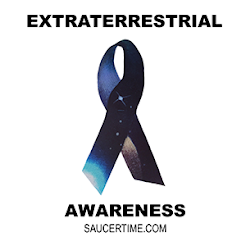 I know it cost money to put on an event and to pay all the speakers that take time to travel and come speak, but $200 a person is out of my budget for UFO researching. I do all of my research voluntarily and for the desire of learning what has yet to be discovered. However, I did enter the ticket sweepstakes on Facebook and hope I win! If you are interested in trying your luck, click HERE to enter. Or visit contactinthedesert.net to order your early bird tickets. Leave a comment if you are going!